Hundreds of prehistoric insects and other creatures have been discovered in a large haul of amber excavated from a coalmine in western India. An international team of fossil hunters recovered 150kg of the dirty brown resin from Cambay Shale in Gujarat province, making it one of the largest amber collections on record. The collection of amber deposits unearthed has opened a spectacular window into prehistoric insect life. The tiny animals became entombed in the fossilized tree resin some 52 million years ago, before the Indian subcontinent crunched into Asia to produce the Himalayan mountain range.Jes Rust, a paleontologist at Bonn University, said the creatures, including ancient bees, spiders, termites, gnats, ants and flies, were in remarkably good condition considering their age. "They are so well preserved. It's like having the complete dinosaur, not just the bones. You can see all the surface details." At that time, what’s now the Asian subcontinent had just crashed into mainland Asia — about 100 million years after breaking off the coast of east Africa. 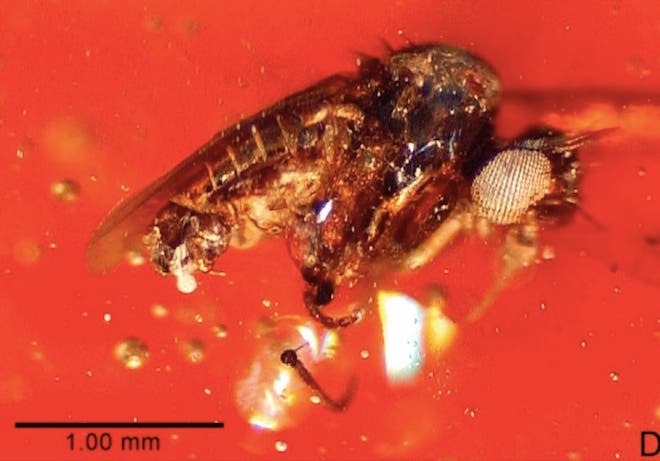 Scientists had long assumed that India was for a time an isolated island-continent, and consequently expected that the insects found in the amber would differ significantly from those elsewhere in Asia. But researchers wrote in their study appearing in Proceedings of the National Academy of Sciences that the insects were not unique as would be expected. "We know India was isolated, but when and for precisely how long is unclear," says David Grimaldi, curator in the Division of Invertebrate Zoology at the American Museum of Natural History. "The biological evidence in the amber deposit shows that there was some biotic connection," he wrote. Rather than finding evolutionary ties to Africa and Madagascar – land masses geologists say India was most recently linked to – the researchers found relatives in Northern Europe, Asia, Australia, and the Americas. "The amber shows, similar to an old photo, what life looked like in India just before the collision with the Asian continent," says Jes Rust, professor of Invertebrate Paleontology at the Universitaet Bonn in Germany. "The insects trapped in the fossil resin cast a new light on the history of the subcontinent," said Michael Engel, a professor in the Department of Ecology and Evolutionary Biology and curator of entomology at the University of Kansas. "What we found indicates that India was not completely isolated, even though the Cambay deposit dates from a time that precedes the slamming of India into Asia," he said. "There might have been some linkages." The insects resemble what’s seen in amber deposits from continental landmasses of the time. (Amber is the geological name for fossilized tree resin, which often preserves insects that get stuck in it.) The findings suggest an unexpected transfer of insects, perhaps across chains of volcanic islands. 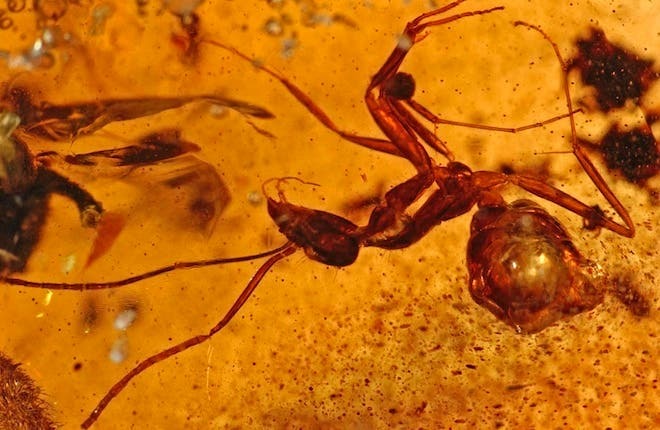 Although the new amber didn’t yield bizarre new species, it’s still loaded with fossil treasures. More than 700 insect species representing 55 families of insects have been identified inside. Among them are ancient bees, termites and ants — highly social insects that form some of the world’s most complex societies.